August 18 is National Pinot Noir Day. I’m not sure what marketing guru decided this already successful grape needs its own day- it’s not as if those of us who love pinot noir need an excuse to consume it. It is, after all, among the most versatile and food-friendly of wines. Still, on this day, it is perhaps a good time to take pity on those who haven’t yet discovered the joys of pinot (we fans are on an informal nickname basis with the grape, so it’s just “pinot”) and offer a little snapshot of the grape to give you an impetus to try it. The good news is this: pinot is easy to like. It’s not nearly as tannic as cabernet sauvignon, nor is it usually as high in alcohol. Unlike cab (I’m informal with it as well), it’s a red wine that can be enjoyed young, though many pinots can age quite well. Pinot noir, like grenache (another red grape I love) tends to be a little light in color, more a medium ruby than a full blow inky purple wine like cab or syrah. Also like grenache, pinot noir is notable for its red fruit flavors rather than the blackberry and cassis we find in many other red wines. The wine has good acidity but relatively low tannin, which is why it can go with some dishes (like salmon) you might be hesitant to pair with other red wines. In short, as we teach in the WSET courses, pinot noir is relatively easy to recognize: pale to medium ruby color, red fruit aromas, high acidity and (relatively) low tannin. It is almost never blended with other grapes so, as with riesling, we generally get a very pure expression of the grape in wines made from it. Pinot noir makes lovely red wines and rosés, and it’s a major component of Champagne (one of the very few examples of pinot blending with another variety). The bad news about pinot is that it is a delicate grape that is finicky about where it is grown, so it isn’t easy to make wine from it, and it can be expensive. It likes cooler climates and especially favors cool night. It doesn't like to be rushed to maturity - it wants what vignerons call "hang time." Pinot noir tends to flourish in areas that do not have a lot of success with other red varieties: Burgundy in Northeastern France; Central Otago in New Zealand; and Willamette Valley in Oregon, all three of which are host to very few other red grapes. It also thrives in certain coastal regions in California, Chile and South Africa. We're fortunate as wine lovers today because there are many pinot noirs in, if not an inexpensive range, at least affordable on occasion. Some of my favorite examples of pinot noir are emblematic of these regions - I love the pinots of Burgundy and especially from the village of Pommard; in Central Otago, producers like Burn Cottage, Craggy Range, Felton Road and Two Paddocks are producing wonderfully vibrant wines with true varietal character and racier acidity than we generally find in Burgundy. 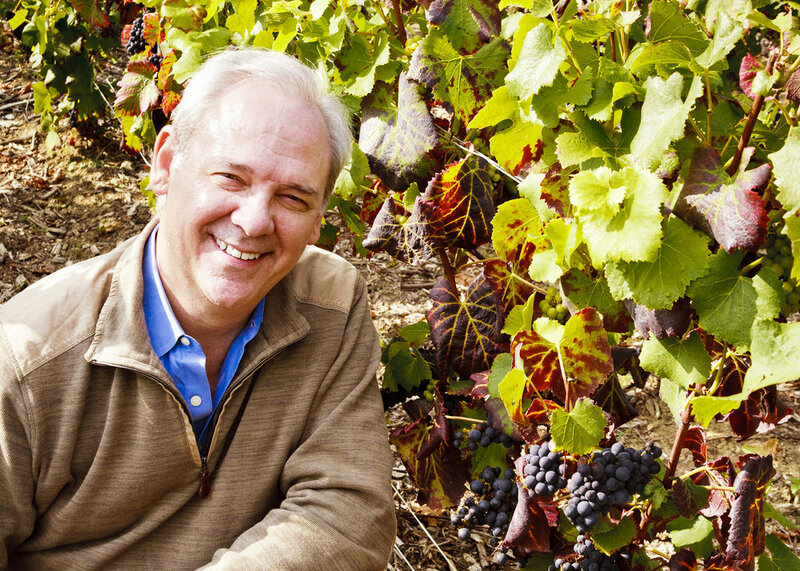 [You can find my feature on tasting with Felton Road winemaker Blair Walter here]. In Oregon, on the other hand, the wines are a little beefier than in Burgundy - the grapes get a bit riper but still have those wonderful fruit plus violet and earthy notes that make this grape so appealing. Some of my go-to Oregon producers are Domaine Drouhin (an American winery owned by a Burgundy family), Day Vineyards, Grand Moraine and Penner-Ash. Intriguingly all four of these properties are managed by women. And in California, where there are many pinot specialists in the coastal region of Sonoma County, longtime winemaker Jed Steele is making some dazzling wines from several regions - Sonoma to be sure, but Mendocino and Lake Counties as well. I've been so impressed with his wines lately I'll devote a post to his pinot noir in the next couple of weeks. To be sure, there are some misguided pinots out there - some are over-cropped in hopes of boosting yields to hold down costs, but this doesn't work with pinot which just turns insipid. To battle that, some producers add a little syrah or other grape varieties to the mix. You can often spot these "engineered" pinots because of their suspiciously dark color. The Burgundians have a great saying - if your can't read your newspaper through the wine, it isn't pinot, by which they mean, good pinot has a pale color. It's a thin-skinned grape that just doesn't develop profoundly deep color on its own. And when you find a really good pinot, you know it: beautiful aroma, beguiling in its subtlety and complexity; a haunting mix of forward fruit and restrained earthiness, a kiss of spice, sometimes even a tantalizing whiff of dried orange peel. And above all, that bracing acidity, silky texture and long finish. I love a good pinot with grilled salmon (the low tannin allows the fish to shine through), it’s beautiful with lamb and beef, and you can enjoy it on its own. Many pinots have charing fruit yet gain great elegance with age, Whether the weather is warm or cool, this is a great place to celebrate either your love, or your discovery, of pinot noir. I know, I've left out one of the greatest of all pinot noirs, blanc de noir Champagne. I'll save that for another time (promise! ), and in the meantime, let me know your favorite red pinot in the comments below - I'm eager to discover new examples!